Online retailer Amazon offered preorders for the Switch several times following the console’s release date announcement, promising day one delivery of Nintendo’s latest console. Now it’s day one, and many preorder customers are still waiting. All it takes is searching Twitter for “Amazon” and “Switch” to see that many customers are regretting their choice of pre-purchase retailers. Complaints include customers stuck in “Shipping Now” status while orders still promise delivery this evening by 8 AM . . .
. . . to customers being informed their consoles will be arriving over the weekend or into next week. Adding insult to injury, Amazon is still sporadically selling the Switch online. A small batch of Neon consoles went up for sale on the site earlier today, quickly selling out. Meanwhile, the Amazon Games Twitter account is tweeting about consoles being available for purchase at Amazon book store locations in the Northwest U.S.
And while many customers who preordered the console via Amazon when they first went up in mid-January are still waiting for their units, customers who ordered units that were made available for purchase last night in select cities via Amazon’s Prime Now two-hour delivery program are reporting successful receipt of their hardware. 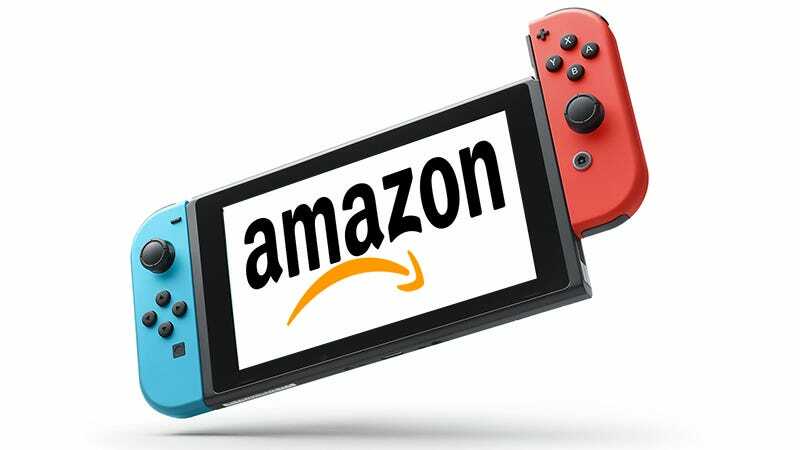 Multiple attempts to contact Amazon throughout the day regarding the Switch situation have been unanswered, but we don’t need an official comment to see that the retailer has bumbled this hardware launch badly. Did you order your Switch from Amazon? How’d that go? Let us know in the comments.